Some people think of me as crazy (well..most people do), I like to consider it “out of the box thinking”. 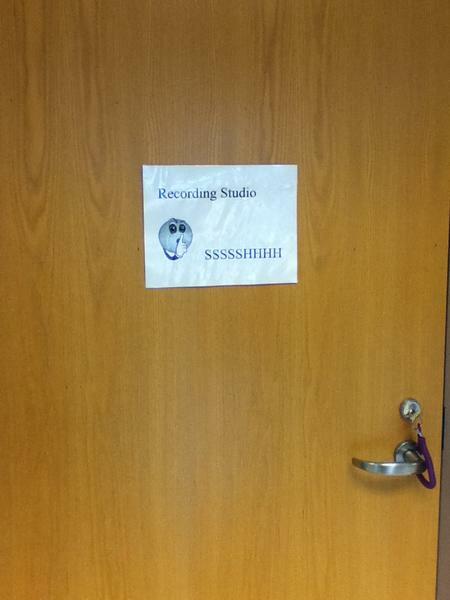 One recent “crazy” improvement to my classroom has been a recording space for my students. Thinking about durability because of my younger students I kept set up simple. 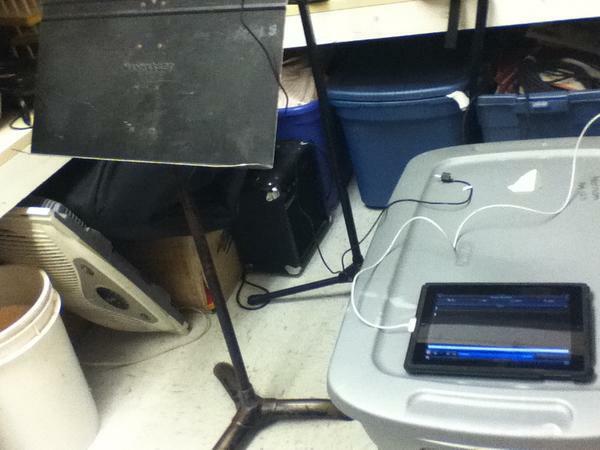 A few chairs, a music stand, a mic stand, an IRig Mic and an Ipad2 with the Wavepad app downloaded to it. I have completed the requirements to be ready to record. I am in control, focused, and ready to record at this very second. Stay QUIET in and out of the studio except for when performing! The Wavepad app was the easiest way of recording I could find. I showed my students how to use it, asked each group to label their songs with all of the first names of their groups (I can tell who is with who) and after that it was Red Record Button–>Stop Button–>File–>Save. After that they were done and could exit the room! So why did I give my students this new place? It not only promotes excitement towards doing their best on the projects in order to have a good recording. It also; let’s them feel more trusted and independent in class, gets them using technology gaining skills for later on in life, gives them insight to what some of their favorite music artists go through when making a song, and is an exciting experience they might remember for the better part of their school career. It’s been a busy week with a lot on my plate, when my brain has gone numb I look to my iPad to play around and recharge. Here are 5 apps that caught my eye this week! My Story:Bookmaker for Kids– This app by High Def. 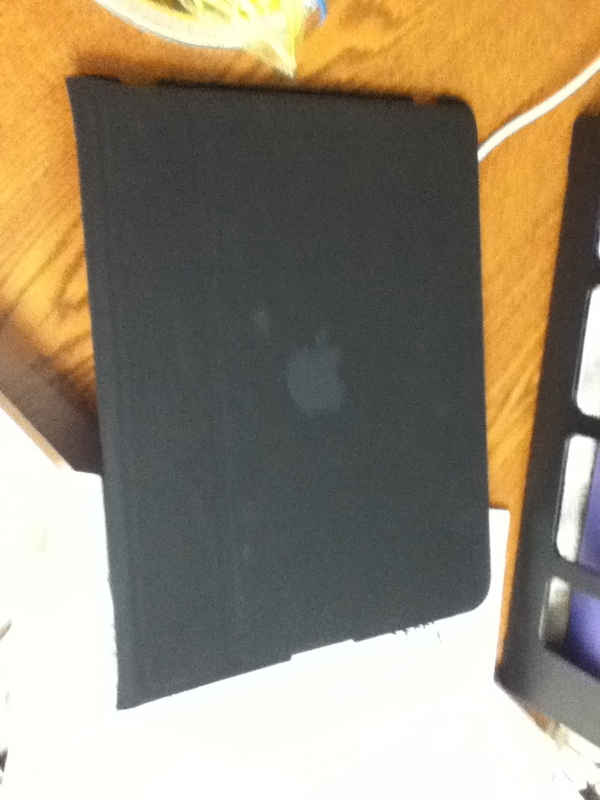 Web Solutions is a fantastic app to create quick and easy Ibooks with kids. 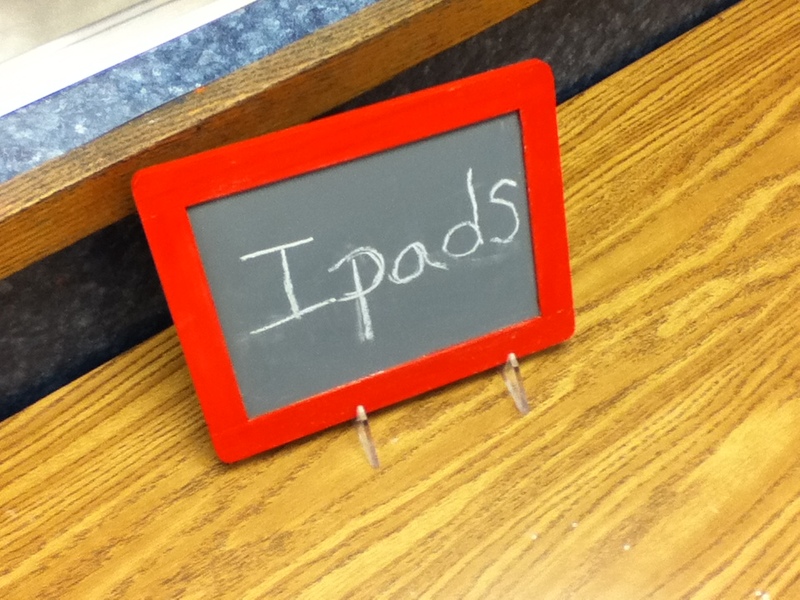 You can have them write simple sentences, design pictures for each page, take photos, and even record voices. The books can be exported to Ibooks after or emailed to show off wonderful student work! Chakra Chime– This app I actually found and recommended to a kindergarten teacher who was just looking for a simple chime app. It is normally meant for yoga or meditating but its tone and duration is a perfect attention chime for classes. You can not only just hit it when you need to, you can also put it on a timer to go off at certain times. Pete the Cat– This is a very cute app you can use as a 5 minute filler after reading one of the Pete the Cat stories in class. It is a find it game based a lot on the second Pete the Cat book “Rockin’ in my School Shoes” I will have my students in front of the projector with this one and I will use my Apple TV to mirror my Ipad to the projector. They will then take turns finding the different objects on the list while we sing the songs from the books! AtPlayMusic’s Recorder App– I have not had a chance to really use this in class yet but am in the process of going through it myself and find it very impressive. The app is divided into lessons and songs teaching students how to play the recorder. The lessons are animated conversations between a teacher and a student about how to play the recorder with playing together and games in between to reinforce the new concept. I love how they integrate the teaching concept of I/We/You in one app. Quick activity idea post before I lose it outta my brain. Did you know that there is a NEW creative on www.quavermusic.com? It’s called Songbrush (The new art easel in the shop) and my kindergartners and first graders gave it awesome reviews! Here’s a quick listening activity we did today. In K-2 I like to focus on critical listening and discovering the movement, emotion, and style in music. One way we do this is by listening to music we have created and talk about how it made us feel, what is the tempo and dynamic, and how the music moves. Today we used Songbrush. 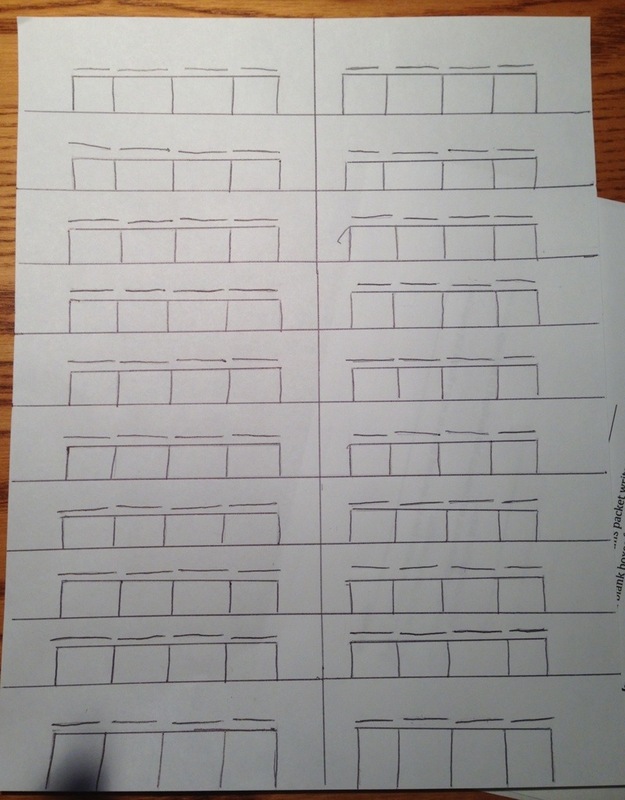 I started out by just drawing a few sweeping lines along the staff and had them describe what they heard melodic contour wise (up, down, left, right, swirling, etc.) Then we learned that every name has a little music in it as I drew a few names in each class and talked about them. The whole class was mesmorized on the screen with smiles drawn across their faces. One of my little kidnergartners after having his name drawn on the board piped up “Ms. Dwinal! That was a sweetastic time!” ..aahhh the little moments that make you smile.